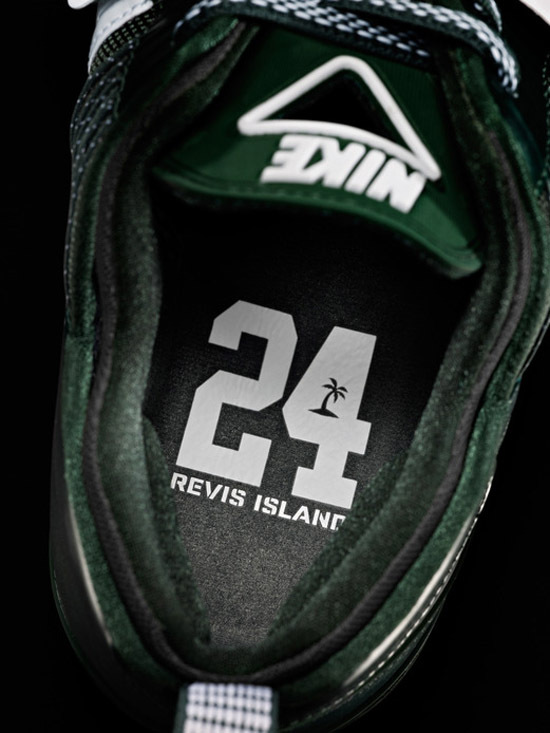 The first signature shoe for New York Jets corner back Darrelle Revis, the Nike Zoom Revis will be released tomorrow, Saturday, December 1st. This fir and white colorway is the first pair set to release. 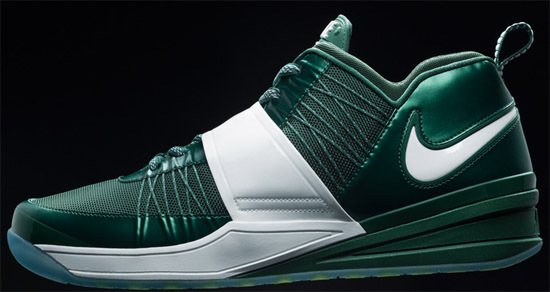 Inspired by Darrelle's New York Jets team colors of green and white. 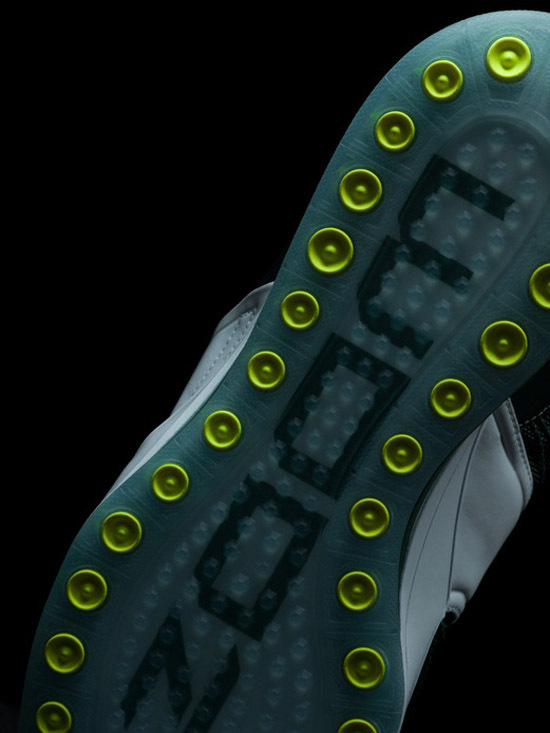 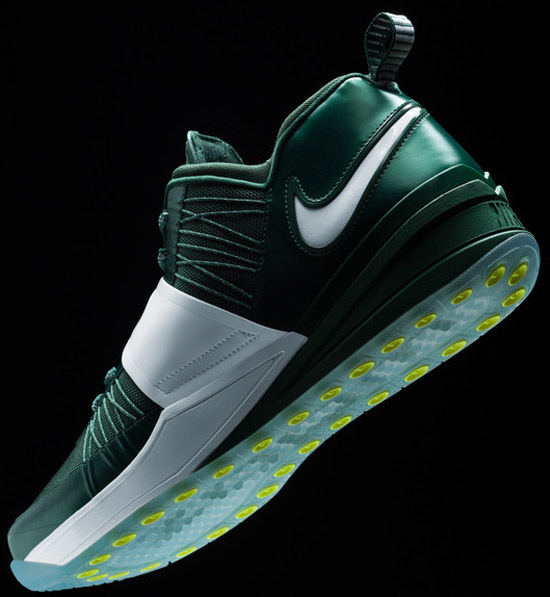 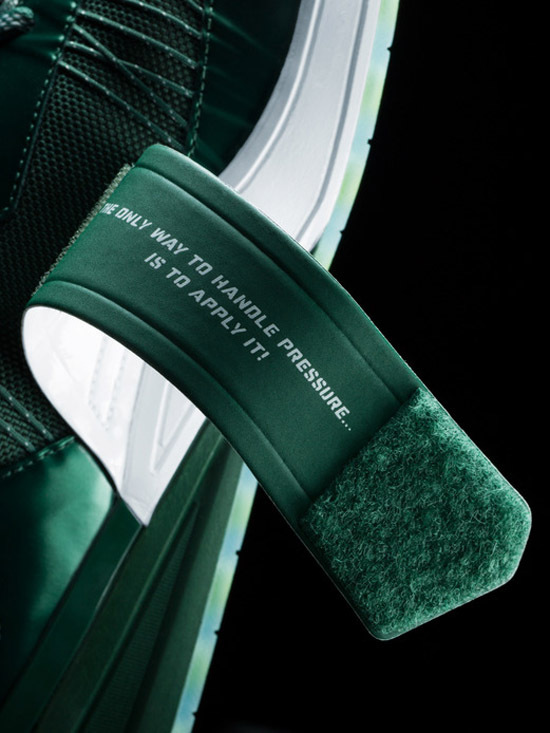 They feature a green-based upper with white accents found on the midfoot strap and Swoosh on the heel along with a translucent outsole. 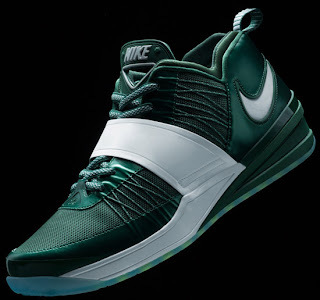 These are set to release at select Nike accounts on December 1st retailing for, $130. 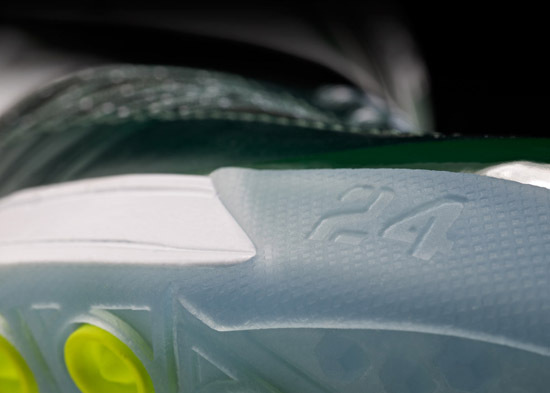 Then on December 10th, a second colorway in black and volt will be released. 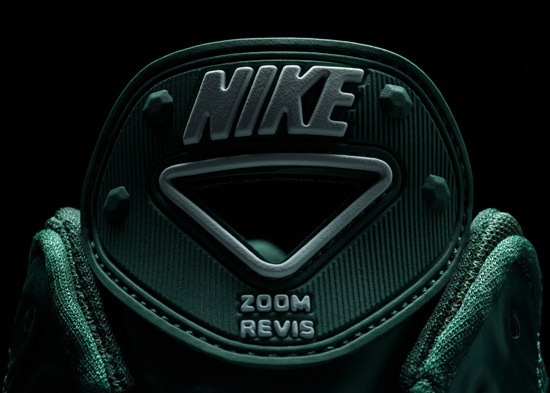 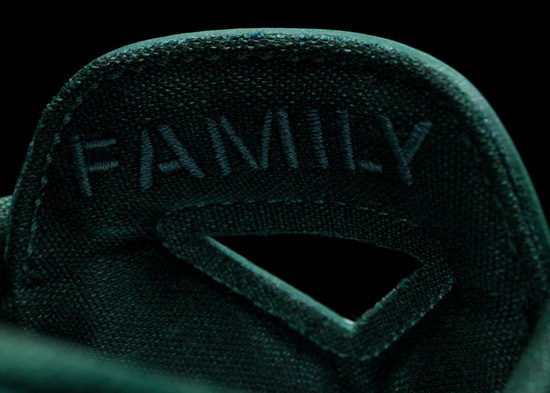 Take a look at the images below and if you're a New York Jets fan, be sure to contact your local stores to see if they will be getting the Nike Zoom Revis this weekend.